Core business of FSD Ltd. is the development of complex web applications based on standardized processes and best practices. One of our products is F-leader, Web ERP System that allows more efficient use of available resources and productive managing. As a result we pride ourselves in having a team of people that have decided to invest their efforts in becoming ERP consultants. Good ERP consultants offer a ‘fresh eyes’ approach to any festering problem, which is particularly useful in the case of highly integrated, data-dependent real-time systems, like ERP platforms. Would you like to meet a successful ERP consultant? One of our ERP team members is Sanja Stojakovic, ERP consultant and interns mentor. 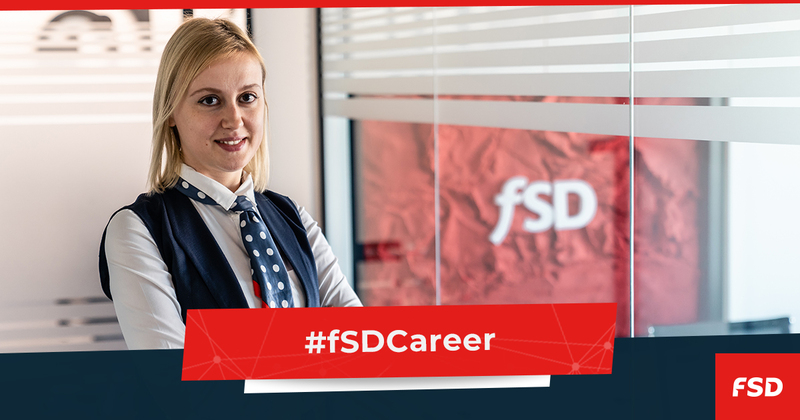 Sanja graduated from Faculty of Economics and the next stop on her career path was the position of a Professor of Accounting for quite some time before coming to fSD. For the last 4 years her engagement for our company is significant. How it comes you decided to switch from being a professor to working with ERP? It did not need much time to realize that I can achieve my goals by means of this job. Once I started working with ERP system I felt like I finally found a method to use and improve my finance and accounting knowledge in a new and innovative way. I started feeling enormous satisfaction and this business has helped me glue to this company, which I have not experienced previously. I actively participate in developing new features and improving existing ones for our ERP system and the feeling that I can contribute to the project and business is great. All in all, I love sharing knowledge and since I have recently become a mentor for interns I feel like being integrated as a teacher while working in ERP. Which elements of your job live up to your expectations? Contribution of the ERP for clients’ business, customers’ satisfaction and, of course, transparent communication and positive atmosphere in my team would definitely be those elements. I also like the fact that I am constantly improving my knowledge and skills through this job. Every new project / client brings new challenges and experiences which is always time-fulfilling. What efforts did you have to take in order to become what you are today? I have focused on achieving my goals and have worked hard to brush up on my knowledge on business processes, information systems, project planning, agile methodologies, business communication, etc. l was trying to learn a lot of new things that can be applicable here, and I still do. My favorite quote is “Erfolg hat drei buchstaben– Tun“ or in English: “Success has two letters - Do“ by Goethe, so I “DO“ use every opportunity to improve the skills that can help me with my everyday tasks. Can you imagine doing something else? Or somewhere else, from this point of view? I honestly cannot and I will give you one motive more to justify that. Apart from everything I have already listed as reasons why I love my job I have to mention that having good knowledge on this product as well as domain knowledge is not enough to be a qualified ERP consultant. We also have to work a lot on developing our soft skills, communication styles, listening skills and presentational skills. In that manner I am here in a position to achieve simultaneously both personal and professional skills. Have you found yourself in this kind of career path?